Punning is hard(ly) work! Is groaning aloud here? Writing with a broken pencil is pointless. Re: Punning is hard(ly) work! Groaning aloud here? Give a man a fire and he is warm for a day, set a man on fire and he is warm for the rest of his life. My hairdresser isn't cutting hair any longer, she is cutting it shorter though. If it's a funny old world, why isn't everyone laughing? ...And its claws are as big as cups, and for some reason it's got a tremendous fear of stamps! And Mrs Doyle was telling me it's got magnets on its tail, so if you're made out of metal it can attach itself to you! And instead of a mouth it's got four arses! If it's true that "you are what you eat" why are we not all new and improved? Please disregard all previous signatures. 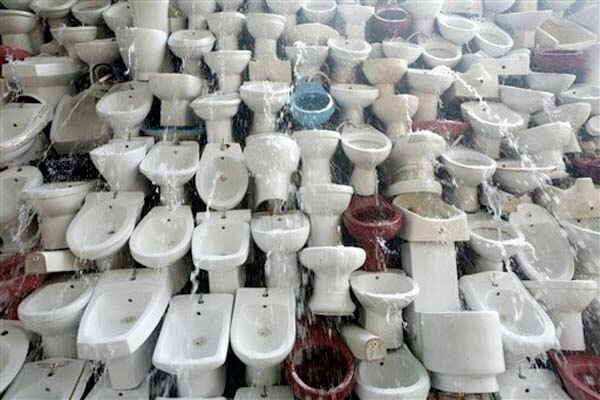 Thieves broke into New Scotland Yard last night and stole all the toilet bowls. A police spokesman said that they have nothing to go on. A big hole has developed onthe M3. Police are looking into it! A man who stole a hold all in an airport asked for three other cases to be taken into consideration. You gotta be careful of corn at night. They can be early creepy with their husky voices and seedy appearance. Why, they even cob right out and tell you to shuck it right to your face. Latest news: Elevator sent down in controversial court case! With hindsight, I could have been a proctologist. There ain'ta no sanity clause, and there ain'ta no centrifugal force æther. If a door can be ajar, why can't a jar be a door? Scotched you say? She was only a whisky maker, but he loved her still. That reminds me of another one. "She was only an Admiral's daughter, but WOOP WOOP CENSORED CENSORED CENSORED WOOP WOOP"
She was only a statistician's daughter, but she knew all the standard deviations. Page created in 0.252 seconds with 81 queries.